Every story must have stakes. Stakes (especially high ones) keep the plot moving, keep the characters growing and changing, and keep your readers engaged. Without high stakes, your story may feel flat, the pacing of your plot may lag, or the page-turning tension may falter. So, let's delve into what story stakes are, whether the stakes in your narrative are high enough, and exactly what you can do to raise them. One of the most important things a fiction writer must do is keep readers engaged in the story. This means piquing and holding their interest throughout the novel. It means ensuring they are invested in the characters and the outcome of the plot – invested enough to want to keep turning those pages. One surefire way to achieve this is through careful consideration of your story's stakes. What does the protagonist stand to lose through the story's central conflict? What do they stand to gain? What do they want or need to obtain or achieve, and what stands in the way of them doing this? What are they risking in trying to achieve their objective? Stands to lose his own life, and the lives of his loved ones, through the central conflict with Voldemort. Stands to gain freedom for the wizarding world from the terrors of Voldemort's potential reign. Needs to defeat Voldemort, but various obstacles (hidden Horcruxes, Death Eaters etc.) stand in his way. Risks his life and the lives of those closest to him in order to achieve his objective. These are some of the highest stakes imaginable. Harry's life and the lives of everyone he knows are at risk, as is the very concept of peace and order in the wizarding world. Harry Potter's stakes start relatively small but steadily get higher and higher as the series progresses, keeping the story exciting throughout multiple books. Everyone's story is different. 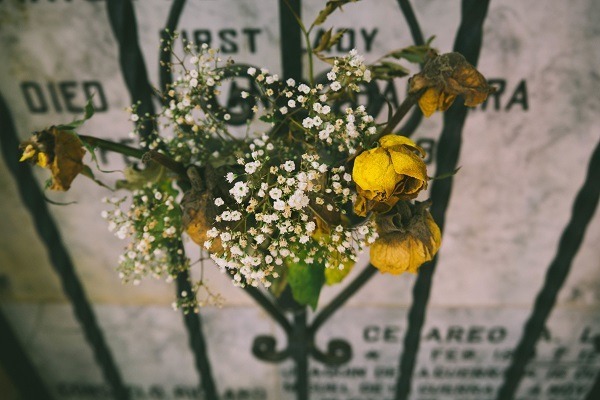 The stakes in your story don't necessarily need to be life-and-death like in Harry Potter. However, they do need to be high enough to maintain tension and reader interest throughout the story. How can you tell if your story's stakes are high enough? You may be able to tell on instinct that your story's stakes aren't high enough. As we discussed above, you may have that gut feeling that something just isn't right. Alternatively, you might have had feedback from editors or early readers that all point to the same thing: a lack of conflict, tension, and reason for reader engagement. What will happen if your protagonist fails to achieve their goal? What are they risking? What might they lose? How personally invested is your protagonist in the outcome of the central conflict? How much does achieving their goal matter to them? What are the external consequences of your protagonist's actions (e.g. how will they affect other characters/the world at large)? What are the large-scale repercussions that might come of them failing to achieve their goal? Are you telling the story of the defining moment of your protagonist's life? The biggest, most life-changing and important thing that has ever happened to them? If you've come to the realisation that your story's stakes are indeed too low, it's time to raise them. Let's take a look at how to do just that. There are several ways you can go about raising the stakes of your novel. 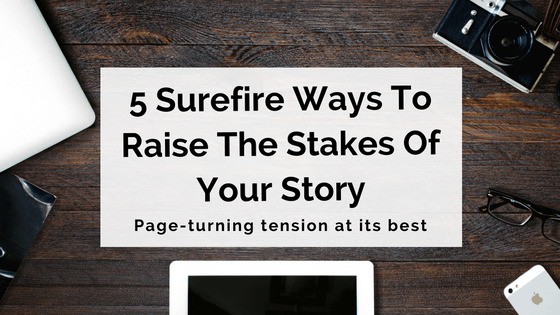 Ultimately, it will come down to what's best for the story you want to tell, but here are five surefire ways to make sure those stakes are high enough to keep readers reading. Large-scale conflict is one of the most important sources of tension you can draw from in a story. This kind of conflict involves big, important stakes that affect more than just your protagonist. However, it's often not enough to simply include large-scale conflict and stakes. You should also consider more personal stakes – that is, those that affect your protagonist directly and deeply. A smaller (and/or more literary) story likely has at its core stakes that are personal and internal ('If I don’t quit drinking, I’m going to die'). Genre work may focuses more on impersonal and external ('The fate of the Royal Galactic Star Imperium is in my hands!')." However, where possible, we recommend a healthy mix of both internal and external stakes. A good way to achieve this is to embed your protagonist's personal stakes tightly to the larger-scale conflict. For example, in a thriller-style novel, your protagonist may need to save a building full of people from an impending bomb detonation. This is the larger-scale conflict, the big-game stakes. However, if one of the people inside said building is your protagonist's daughter, this adds a whole new level of personal stakes and really ups the ante in terms of tension. Always remember that characters are the best way to get readers invested in a novel. Readers must care about what happens to your characters, and for this reason, your story must always have some level of personal stakes involved. Everybody makes mistakes. As the saying goes, 'To err is human' – and as a fiction writer, you want your characters to read like living, breathing humans. Therefore, they cannot be perfect, making the right decisions all the time; nor can they be untouchable, making bad decisions but facing no repercussions. All of your characters' choices must have consequences, and sometimes these consequences should be negative. To help keep story stakes high, explore how your characters have to face the results and complications of their actions and decisions. Shake things up a little; perhaps they might experience a small victory, only to set in motion a chain of events that ends up complicating things further – raising the conflict and stakes even higher. Continuing on with our above thriller novel example, let's consider the ways in which the stakes might be affected by the protagonist's choices and actions. A whole new level of stakes are introduced the moment he discovers his daughter is in the endangered building. His personal investment in the outcome of the situation may cloud his judgement, affecting his ability to tackle the problem effectively. There might be moral complications in which he prioritises his daughter's safety over that of other people in danger. Upping the stakes through choice, cause and effect will ensure your story is both realistic and exciting enough to keep readers invested in the outcome. Pacing and tension are two of the most important considerations for any fiction writer. Tension, created through your story's conflict, is essential for reader interest and engagement. Well-executed pacing is vital to ensure the story builds and flows well. Both of these elements are bound inextricably with the stakes of your story. As your stakes are gradually raised, so rises the tension, and all of this affects the pacing (i.e. the story's ups and downs). Using more short, snappy sentences to keep things moving quickly. Using more dialogue rather than exposition. Crafting fast-paced, exciting action scenes full of movement and quick decision-making. All of these techniques will reinforce the raising of the story's stakes and help the story move along at the proper pace. As you approach the final third of your novel in particular – i.e. the climax of the story – it's more important than ever to pay attention to pacing and tension. When you're building up to the climactic point, the stakes should be at an all-time high, and this needs to be reflected in the way you write. Avoid long sections of exposition, description or info-dumping at this critical place in the story. Interspersing those kinds of slower-paced content throughout the rest of your story is a good way to even out the ups and downs and provide a break from tension, but there's really no place for it in the final act of your novel. To help control the raising of stakes at a good pace throughout your story, planning your novel is essential. If you're having trouble, perhaps try structuring it using the three-act structure. Or, if you've already written your novel, pay particular attention to pacing in your structural editing phase. Tying a ticking time bomb to the conflict in your story is a great way to immediately boost tension and raise the stakes. Your protagonist may have an important goal they need to achieve, but why not make things that little bit more interesting by giving them a time limit in which to achieve it? In fiction, a ticking time bomb is a cut-off moment after which nothing more can be done to avert disaster. Accomplish your goal by then, or you've lost." This technique can be used over the whole course of your novel, with an overarching time limit hanging over the entire story. Alternatively, it can be used in a smaller section – perhaps the story's climax – to raise the stakes suddenly and sharply. Bonus tip: if you really want to up the tension, perhaps introduce a time limit that the reader is aware of, but the protagonist isn't. The dramatic irony will have readers biting their nails and clinging on the characters' every move as disaster looms ever closer. If you're looking at your story's overall stakes and they seem to be high enough, perhaps try taking things back a level. Look at your novel on a scene-by-scene basis. Do all or most of your scenes have a set of stakes of their own? Often, the key to writing gripping scenes is ensuring that each one has its own mini-plot to play out. Scene-level stakes don't need to be nearly as high or dramatic as larger-scale conflicts, but including some form of stakes in most scenes will help keep interest high. Multiple layers and levels of conflict can be built brick-by-brick, scene-by-scene, contributing to the overall stakes of the story as a whole. When examining each part of your novel, ask yourself if it progresses the story and furthers the conflict. If it doesn't, you may need to reevaluate what's at stake in that particular scene. When entering a scene, you should ask: 'What are the stakes here?' The characters in any given scene are here in the scene consciously or unconsciously trying to create a particular outcome for themselves or for the world around them. Something is on the table to be won or lost." What are the stakes of your novel? Are they high enough? How do you plan to raise them? Let us know in the comments! Thanks, Barbara — glad you liked it! Claire, All I can say is, I took notes. Thank you! Claire I appreciate you sharing your ideas on raising stakes. I am an author currently in the process of writing my second novel.. As I got into the second act of my book I realized somehing was missing, but I couldn’t quite put my finger on it. You made me realize that I had to raise the stakes for my protagonist. Thanks for getting me back on track! Best of luck with your second novel. Claire, this list is excellent. I’m reworking a treatment for a screenplay and I’ve just implemented tip number one, which has made a big difference. Now I’m working my way through the rest. I’m busy with my first full length murder mystery novel and I am going to go back through everything, taking your many great points into account!